There are countless advantages to earning a degree online. Being able to set your own class schedule, complete coursework at your leisure and receive a higher education from the comfort of home are just a few of the perks students enjoy when pursuing degrees through the web. 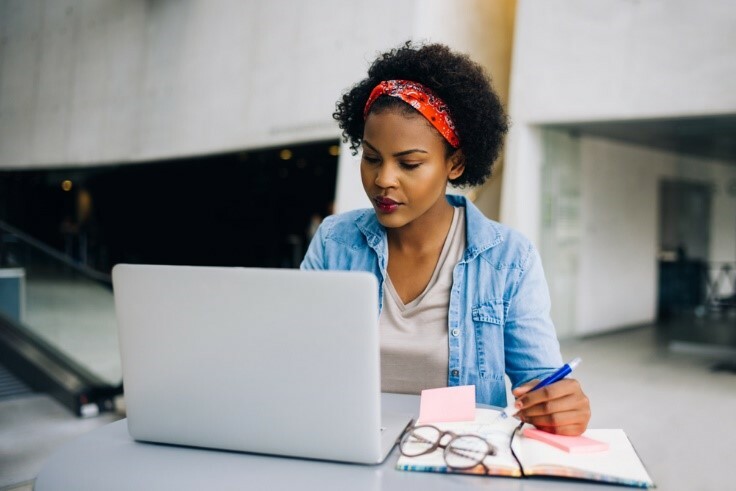 However, in the absence of the pre-set class times and rock-solid structure found at traditional schools, students who aren’t natural self-starters often have a hard time adjusting to online degree programs. Of course, this isn’t to say that non-self-starters should give up on the idea of online education. If your self-motivational skills could use some fine tuning, there are a numbers of simple measures you can take to whip yourself into shape and succeed in any online degree program. Adhering to a self-made schedule can be difficult for people who aren’t natural self-starters. Since many of us have grown accustomed to having external forces dictate our daily schedules, suddenly being in control of our own time can seem overwhelming. As is the case with most things in life, practice and consistency are crucial when it comes to sticking to a schedule of one’s own creation. In other words, the longer you adhere to your new schedule, the easier it will become, and eventually, you’ll be able to do it effortlessly. Unsurprisingly, getting started is often the hardest part. To kick things off, sit down and create a workable daily schedule. Take care to carve out designated times for studying and coursework while also leaving certain portions of your day flexible. After all, being booked solid for every minute of every day is liable to overwhelm you and potentially lead to the abandonment of your new schedule. Additionally, the first draft of your schedule doesn’t have to be regarded as sacrosanct. If certain elements of the schedule simply aren’t working for you, don’t be afraid to change things up and disrupt the routine as needed. Once you develop a solid understanding of what works and what doesn’t, you’ll be able to iron out any wrinkles and create a daily schedule that’s uniquely suited to your life. 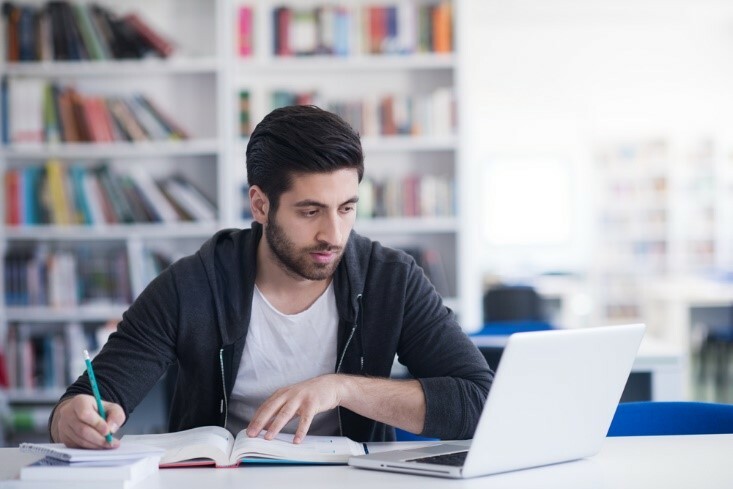 For some people, the promise of a door-opening degree, like an AACSB-accredited online MBA, is sufficient incentive to buckle down and work hard. For others, however, daily life gets in the way and makes earning one’s degree feel like an impossibly far-off goalpost. In cases like this, more immediate incentive is needed to keep individuals motivated. With this in mind, consider giving yourself little rewards for reaching short-term goals. For example, finishing up an end-of-term assignment or consistently meeting your study quotas can mean treating yourself to a nice meal or personal item you’ve had your eye on. This will ensure that you remain motivated to work hard, even when your ultimate goal is a ways off. In the digital age, it’s almost impossible to focus your attention on a single thing. Between phones, televisions and computers, most of us spend our days staring at a series of screens. Suffice it to say, this can make studying an absolute nightmare. Concentration is crucial to a successful study sessions, and phones and TVs are often the enemies of focused attention. As such, it’s recommended that you actively cut back on distractions during designated study periods. This means placing your phone out of easy reach, if not turning it off altogether, and powering down any televisions or nearby noisemaking devices. For people who are used to be surrounded by flashing screens, this will take some adjustment, but heightened concentration skills will prove well worth your efforts. Part of being a self-starter is recognizing that not every goal is going to be met. People consistently overexert themselves and/or take on more than they can handle, inevitably leading to missed goalposts. In the quest to earn an online degree, some things simply are not going to go your way. Instead of getting discouraged and shying away from future goals, a self-starter will learn from their failures and apply the lessons to future endeavors. Online degree programs offer far more freedom than brick-and-mortar schools. There are no set-in-stone class times, meaning that students can listen to lectures and process lessons at their leisure. Unfortunately, not all students are equally equipped to handle the level of freedom online schools provide. As such, students who don’t identify as self-starters should implement the tips discussed above. Honing your self-motivational skills is guaranteed to serve you well in your academic pursuits and nearly every other area of life. Is Higher Education A Waste Of Time For Entrepreneurs?